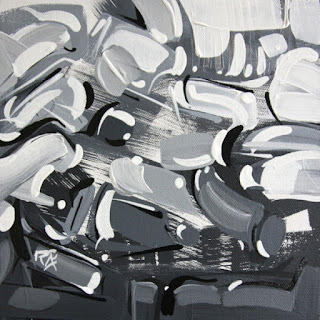 This was my 2nd black and white abstract painting. It is strange to work without colors. Especially since I use a lot of it. I tried to keep this one light, in contrast to the first one I did. My goal when I do non-figurative abstract art is to keep it recognizable me. It is important to keep my signature style.